Ecotelligent | To communicate is human. is a responsible human act for the future. ARE YOU INTERESTED IN LEARNING MORE ABOUT OUR SOLUTIONS? We believe in alternatives. The alternatives we offer are creating a more aesthetic and connected environment. We build wooden communication towers and intelligent poles. Our mission is to enable telecommunication in a more human environment by applying the science of wood construction into building of communication towers and poles. Thus, we can significantly reduce the CO2 emissions of building the towers and make the landscape more pleasant for people. Our current line of products consists of two antenna towers, the 30 meter and the 40 meter variants of ECOPOL. There are millions of telecommunication towers under construction worldwide at this very moment. It is increasingly important to consider emissions in this sector. 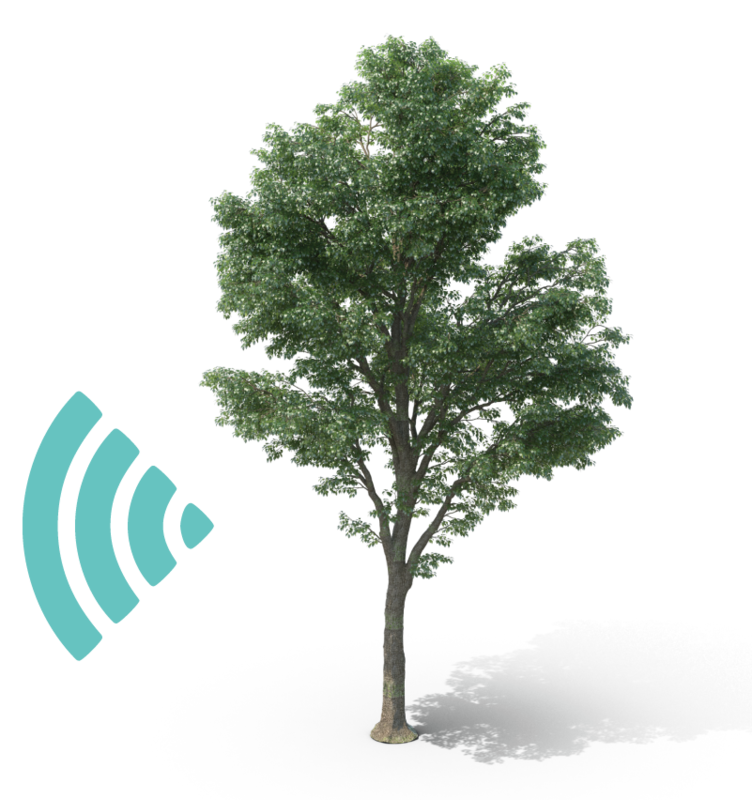 Wood is a responsible and sustainable choice as a building material for telecommunication support structures. Impact #1, manufacturing wood: We build communication towers out of laminated timber. By doing so, we cut the amount CO2 released into the environment. The environment we live in has a big impact on our wellbeing. The increase of telecommunication base stations puts urban planning in a situation where there must be alternatives for the future. Impact #2 providing alternatives: We build communication towers out of laminated timber. By doing so, we can provide a more attractive option that makes your surroundings more pleasant. We invite you to take a step with us towards more aesthetic and low-carbon solutions for the visible technologies in the field of telecommunication. Choose a warm and beautifully designed wooden telecommunication pole and intelligent pole for your local surrounding. High quality telecommunication services demand serious and high quality technology in the background. Our solution is the proof that such technology may also be implemented in a more aesthetic and environmentally friendly way. Antenna support structures can indeed be pleasing to the eye, colorful and not resulting in instant disapproval of the public. 3G and 4G supports our everyday communication now, but 5G is on its way to speed up life even more. 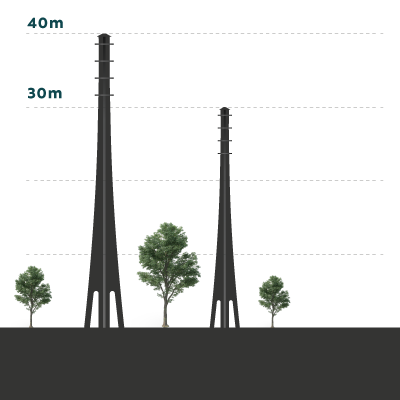 This means that in the worst case scenario base stations will be situated in every light pole (50 meters apart). Current light poles are not suitable for antenna support structures at the moment. In order to serve the antenna and device technology requirements in the future, we need to re-modify the support structures. We are designing a next generation intelligent pole, which will serve the demands of the upcoming telecommunication improvements. This intelligent pole will be manufactured from wood, focusing on the aesthetic and environmental aspects.